Craving the slow-food comfort of creamy oatmeal (but running out the door in the morning)? This simple overnight oat recipe "cooks itself" magically overnight as it soaks in the fridge. Store these oats in a mason jar so you can grab them as you head out the door, and enjoy them cold or heated up in the microwave once you get to work. 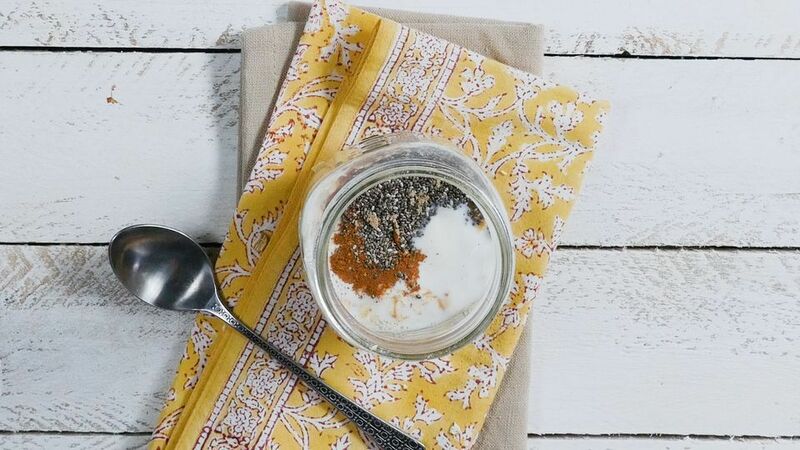 In a mason jar or bowl, combine oats, milk, chia, brown sugar, and cinnamon. Stir well, cover and refrigerate overnight. Right before serving, stir in peanut butter or almond butter and top with sliced bananas.